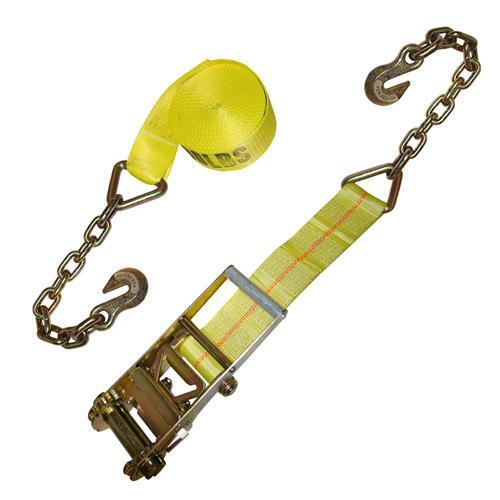 These custom length ratchet straps with Chain and 3/8” Clevis Grab Hooks are versatile and easy to use. Simply attach each hook to a point, pull the webbing through the ratchet, and crank to tighten it. These tie downs can be used in a variety of applications. Don’t see the length you need? Call us at 800-444-0956! These straps are made to order, choose options below.